In today’s competitive environment, retaining customers is by far the greatest challenge for businesses in every industry. Because providing quick customer service is key to success, a customer relationship management (CRM) solution is now indispensable. Strategic use of a CRM can greatly improve efficiency, which gives customers the personalized attention they need to maintain loyalty to your brand. 70% of businesses have increased their spending on real-time customer analytics solutions. 58% of businesses that use real-time customer analytics see a significant increase in customer retention and loyalty. 44% of businesses are acquiring new customers and increasing their revenue because they adopt and integrate customer analytics into their operations. As Mona Bushnell for Business News Daily writes, “If you’re not using your customer relationship management (CRM) software to improve customer service, you’re not getting the full value out of your CRM system. When businesses adopt a CRM, it’s usually with the primary intent of streamlining sales pipelines and storing customer information, but modern systems offer so much more than that. Use templates – Email templates permit consistent branding and visual communication to your customers, and convey a professional image. If you’re shopping for a CRM solution, ask vendors whether email templates are available, and if so, how customizable they are. Templates are also beneficial for seasonal promotions and direct email marketing. Pull reports – The better CRM solutions allow you to pull many types of reports – including customer communication. You’ll be able to compare customer interactions based on employee, revealing which associates have the longest and shortest response times, and who gets the most customer complaints. This information will help you both improve customer service and employee accountability. Improve complaint resolution – Without a CRM system, communications between customer service representatives and customers go undocumented. 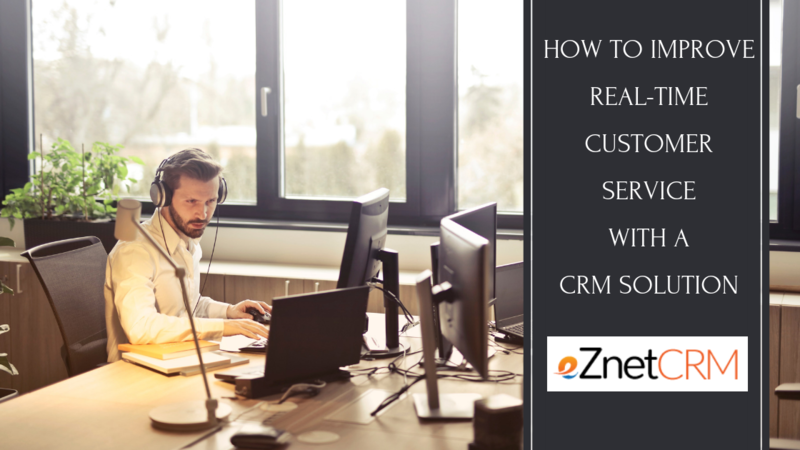 In the case of a dissatisfied or angry customer, drilling down into how things went wrong, how long responses actually took and what was said is much easier when you fully utilize your CRM software. Train employees to utilize client data – One great advantage a CRM solution offers is the ability to view client information in-depth. However, many companies spend time and money implementing CRM systems without establishing procedures for employees to use the information at their fingertips. Training employees on how to use the basic functions in a CRM system is important, but so is training them on the process. Our May 2018 blog post, “Best Practices to Increase CRM Adoption,” covers the importance of training and getting buy-in from all employees who will be using the system. A CRM system improves the customer experience by letting you create a full 360-degree view of your customer regardless of who in your company is talking to the customer. It also gives you the opportunity to personalize your communication, offer relevant content and service, and respond quickly to customer requests, thereby ensuring that no question goes unanswered. It’s the most valuable asset for companies that want to optimize customer satisfaction and long-term retention. If you already have a CRM system, be sure you’re using it to your best advantage. If you’re considering one, eZnet CRM is a cloud-based system that provides an unparalleled feature set designed to deliver seamless integration with your current business model. Contact us to learn more and get started with a free 30-day trial to be confident that eZnet CRM is the ideal solution for your business.